My recent experiences with Intuit’s QuickBase product led me to write this article. I found it to be a great tool for project management – and beyond my needs, several departments adopted it as a means to build custom, cloud-based applications. Here are a few quotes from my former team. I’ve also reviewed the application on TrustRadius for any of you that may be looking to purchase. Quickbase allowed our professional services team to fine tune our delivery processes, reduce delivery time, and ultimately improve our margins. We felt more connected as a team due to the workflow and notification capabilities. We felt in-sync! Quickbase allowed us to quickly adapt and keep pace with our ever-changing business. I felt more empowered to write my own reports and see data the way I needed to in order to run my business unit. The flexibility of Quickbase’s platform allows for almost limitless use for the product. If you are considering a similar tool (i.e. SalesForce), here are a few features that we enjoyed. Disclaimer: I do not get paid in any way by Intuit. Get started quickly with best practice templates. My favorite? The Project Management template. 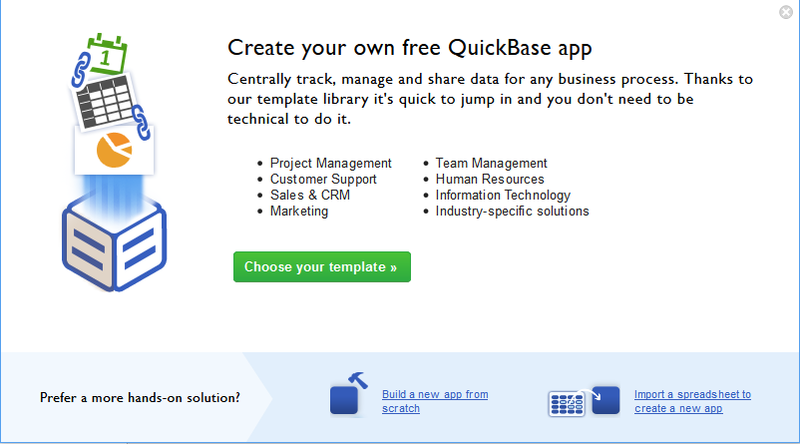 QuickBase provides numerous out-of-the-box templates. On many occasions, we thought up a concept and then realized that Intuit already had a template available that solved 75-80% of our needs. We were then able to quickly customize this template to build our “custom” application. It was simple to add fields, modify forms, etc. 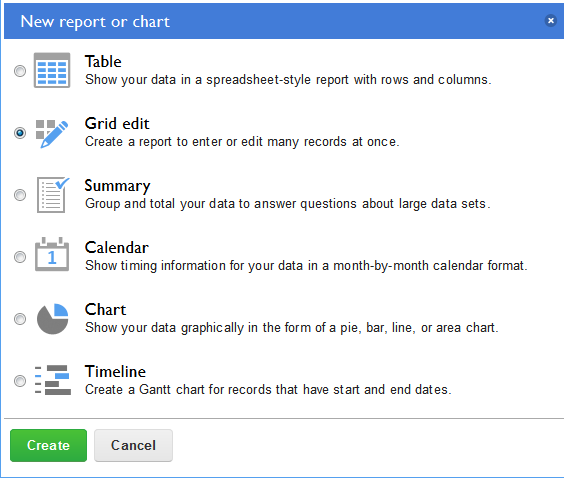 Easy-to-use reports, charts, and graphs. Not only is it easy to setup reports around your data, it is also easy to view and modify the data directly from your report. The QuickBase platform allows you to drill into the data from the reporting elements. You can then use ‘Grid Edit’ mode in many cases to directly edit the data that you’ve drilled into. This assumes that you have the appropriate access to that data, of course. Control access easily through customizable roles. Access and security is sometimes an afterthought. Quickbase allows you to setup custom roles and then secure that data that resides in your application tables down to the data element. You can choose the basic functions of view, add, modify, delete. This flexibility allows you to setup complex security in your application to reflect the unique needs of your business community. You can also nest roles for individuals that may be in more than one. Easily add custom fields to support your business need. There are a variety of data types which you can select. 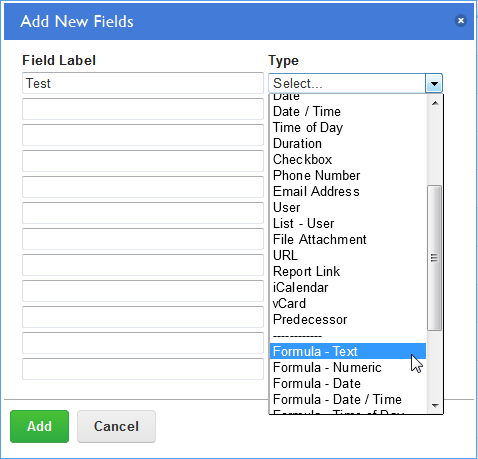 Be it a custom application, or the customization of an existing QuickBase template, it is tremendously helpful to be able to add custom fields to your application. This is done easily by the ‘Add New Fields’ feature. 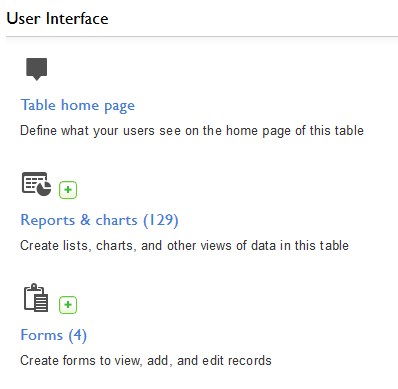 Intuit has made it really easy by predefining a number of logical data types. You can even use their scripting language to create a derived or calculated field. Personally, I’ve found that calculated fields come in extreme handy. In terms of project management, I’ve used calculated fields to determine the variance between two dates. This helped me to analyze how long a certain activity was taking to complete across several projects. Subscriptions and notifications are a powerful way to keep your users engaged and target communication to them at the right time. 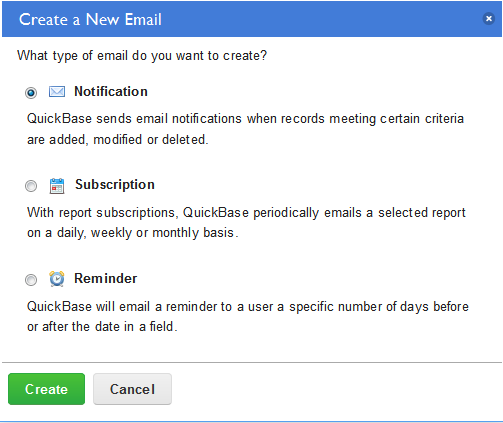 QuickBase has an excellent built-in feature to handle notifications. These are helpful when setting up complex workflows. They are also very nice for prompting users to take action on particular pieces of data when it has changed. We were able to reduce our delivery timeframes by notifying different functional groups when activities were completed ahead of schedule. This had a direct impact on our business and helped us to achieve better margins. Don’t take my word for it. Quickbase offers a free 30-day trial (no credit card data required). Sign-up with your email address and let me know what you think! In the trial, you’ll have the ability to use all of the features above and get a look at the available templates. If you’re looking to build a pilot ‘business case’ for your boss – this is the spot!